Safdie Architects has revealed its plans to extend its Marina Bay Sands hotel in Singapore by adding a fourth tower. The new stand-alone tower will contain more hotel rooms and take cues from the existing glass buildings, which were completed by Safdie Architects on Marina Bay in 2011. 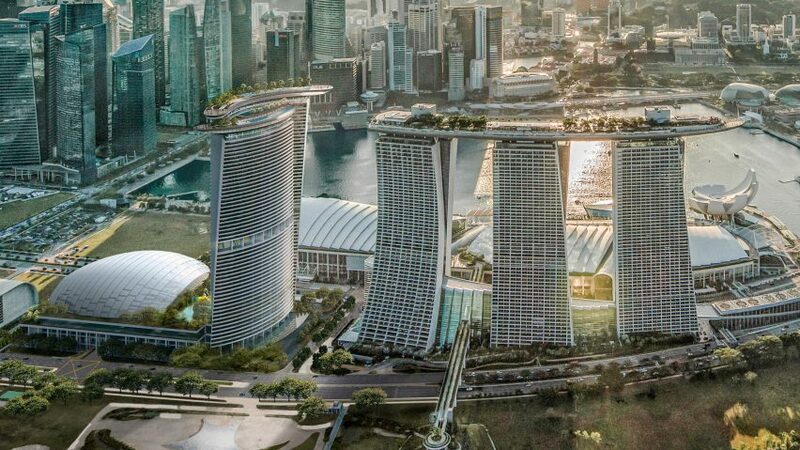 "Building on a long-term partnership with Las Vegas Sands corporation, we are delighted to embark upon a design for a major new addition to the iconic Marina Bay Sands in Singapore," said the architecture studio in an Instagram post revealing the news. Meanwhile, the arena will be designed with "cutting edge technology" and is intended to play a "key role in bringing new and repeat visitors" to Singapore. "Marina Bay Sands is an iconic tourism destination that has exceeded all of our hopes in growing leisure and business tourism in Singapore"said Las Vegas Sands corporation chairman Sheldon G Adelson. The studio is best known for Habitat 67, an experimental housing scheme that comprises a 354 stacked concrete "boxes", within which Safdie's private home was recently opened to the public. Another major project in Singapore by Safdie Architects, the Jewel Changi Airport, which features the world's tallest indoor waterfall, is set to open later this year. The studio has also recently completed a balcony-covered housing towers in the city.